Previous posts on this site have discussed a variety of material found in Britain that is suggestive of long-distance trade and movement in the past. For this post and the next, however, I thought it might be interesting to look briefly at some recent research into artefactual evidence pointing in the opposite direction instead—that is to say, at finds of British-made items from areas outside of the British Isles. 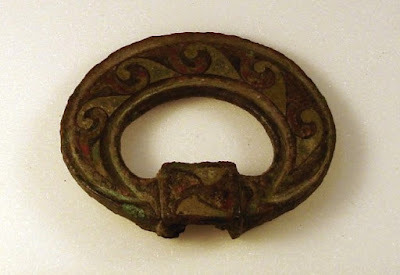 What follows looks at Romano-British brooches and other objects found in Europe and North Africa, and the subsequent post will do the same for Anglo-Saxon items. 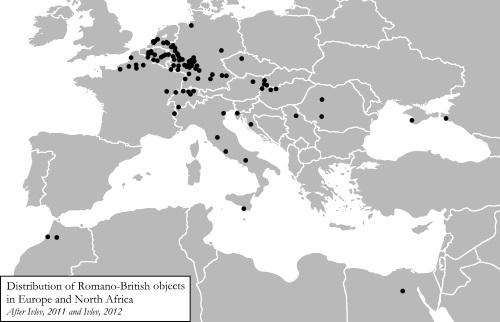 The distribution of Romano-British objects in Europe and North Africa, primarily brooches, after Ivleva, 2011, p. 135, and Ivleva, 2012, with minor additions and modifications and plotted on a base map from Wikimedia Commons (image: C.R. Green). A probably British enamelled terret ring from a horse harness, found at Fayum—ancient Crocodilopolis/Arsinoë—in Egypt (image: British Museum). A virtually identical example was excavated from the Romano-British 'small town' at Wanborough, Wiltshire, in 1969, see A. S. Anderson et al, The Romano-British 'small town' at Wanborough, Wiltshire: Excavations, 1966-1976 (London, 2001), p. 96. 1 T. Ivleva, 'British emigrants in the Roman Empire: complexities and symbols of ethnic identities', in D. Mladenovič & B. Russel (eds.) TRAC 2010: Proceedings of the 20th Theoretical Roman Archaeology Conference, Oxford 2010 (Oxford, 2011), pp. 132–53. Slightly different figures are reported in her 2011 article compared to her PhD thesis of 2012 (see fn. 2); the latter are adopted here. 2 T. Ivleva, Britons Abroad: the Mobility of Britons and the Circulation of British-made Objects in the Roman Empire (University of Leiden PhD Thesis), pp. 329–31. 3 A. S. Anderson et al, The Romano-British 'Small Town' at Wanborough, Wiltshire: Excavations, 1966–1976 (London, 2001), p. 96; Ivleva, Britons Abroad, pp. 329, 331. 4 Ivleva, Britons Abroad, pp. 323–4; J. H. Petersen, 'Communicating identities from beyond? Assessing expressions of identity in funerary material from the Black Sea region', HEROM, 2.1 (2013), 45–73, especially pp. 55, 57–60, 67 and fig. 6; M. Treister, 'The date and significance of tomb II at Gorgippia (1975 Excavations)', Ancient Civilizations from Scythia to Siberia, 9 (2003), 43–85 at p. 59. On the incense burner/alabastron and its British origins, see also H. Cool, 'Panelled Enamel Vessels', Roman Finds Group Newsletter, 13 (1997), pp. 2–3. This aim of this post is simply to report the rather exciting discovery of two joining pieces from a Anglo-Saxon standing cross in the rectory garden at Louth, Lincolnshire, which David Stocker and Paul Everson have dated to the tenth century. Both of these pieces depict the body of the crucified Christ and the original ring-headed cross was probably a very substantial monument, several metres high, that must have been of considerable importance in the local area. The two joining pieces of the Anglo-Saxon cross-head found at Louth, shown shortly after the discovery of the second piece; the surviving parts of the cross-head together measure around 0.4m top to bottom (image copyright © C. R. Green). 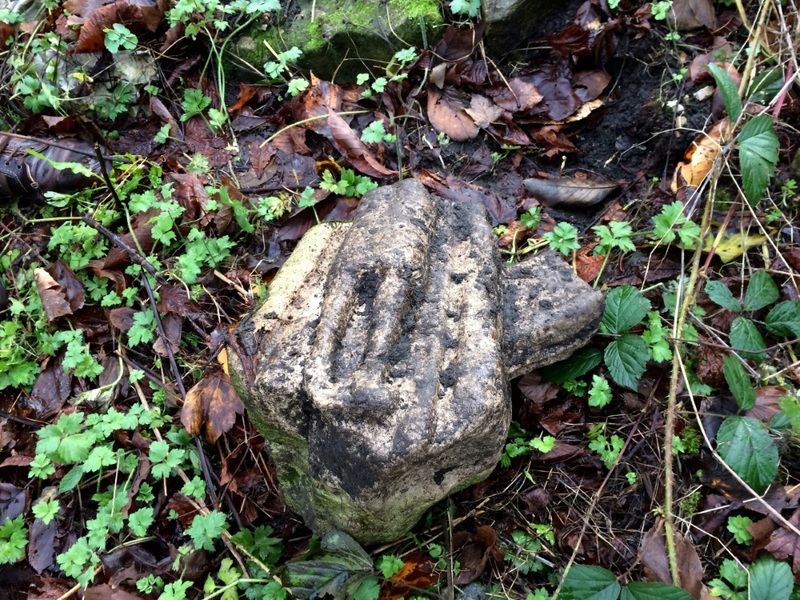 Needless to say, this new pre-Conquest cross is a very significant find indeed, and its discovery in Louth is of especial interest. The current parish church—which possesses the tallest parish spire in England—dates largely from the fifteenth and early sixteenth century, and whilst it contains within it the fabric of earlier churches dating back to the later twelfth century, this is by far the earliest Christian artefact yet found in the town. 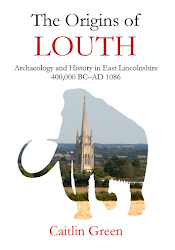 As such, it provides something of a 'missing link' between the medieval structural evidence of the parish church and the important documentary evidence for both a significant Middle Saxon minster at Louth which produced Offa of Mercia's last Archbishop of Canterbury, St Æthelheard (792–805), and a tenth-century shrine to Louth's own Anglo-Saxon saint, St Herefrith, who is thought to have been potentially the last ninth-century Bishop of Lindsey (c. 870 or thereabouts) and perhaps martyred by the Vikings. 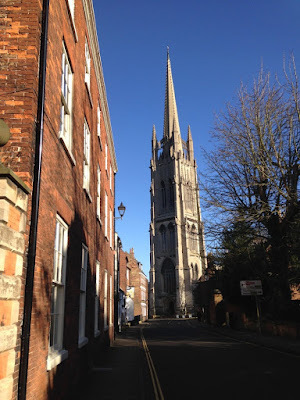 For further details of the finding of the cross and commentary on its significance, see the press release from St James's Church and The Louth Cross sub-committee and the Lincolnshire Echo article on the Louth Cross, published this morning. The largest piece of the cross-head, photographed shortly after its discovery during routine maintenance work (image copyright © Richard Gurnham, St James's Church, Louth, and The Louth Cross sub-committee). 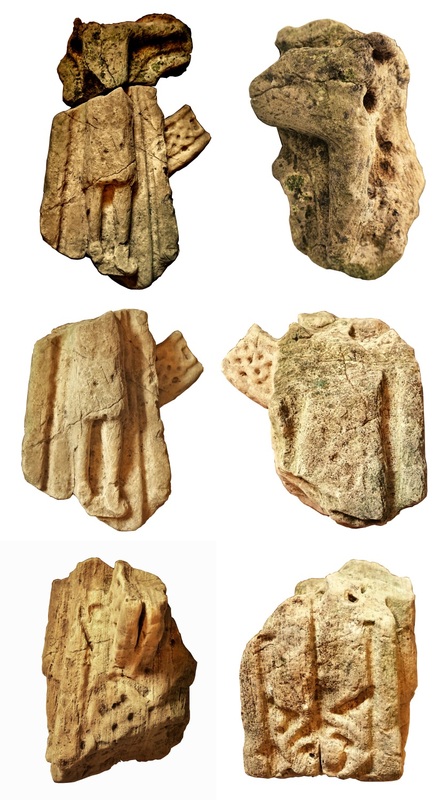 Compilation of views of the different sides of the cross-head; click the image for a larger view (image copyright © Chris Marshall, St James's Church, Louth, and The Louth Cross sub-committee). St James's Church, Louth, from Westgate; the church possesses the tallest parish church spire in England, completed 1515 (image copyright © C. R. Green). The aim of the following post is to offer a draft look at an interesting Arabic account of early medieval Britain that appears to have its origins in the late ninth century. Despite being rarely mentioned by British historians concerned with this era, this account has a number of points of interest, most especially the fact that it may contain the earliest reference yet encountered to there having been seven kingdoms (the 'Heptarchy') in pre-Viking England and the fact that its text implies that Britain was still considered to be somehow under Byzantine lordship at that time. Al-Idrisi's mid-twelfth-century Arabic map of southern Britain and northern Frances, from the copy preserved in the sixteenth-century Oxford MS Pococke 375, fol. 281b–282a. Note, north is at the bottom of this map (image: Bodleian Library). 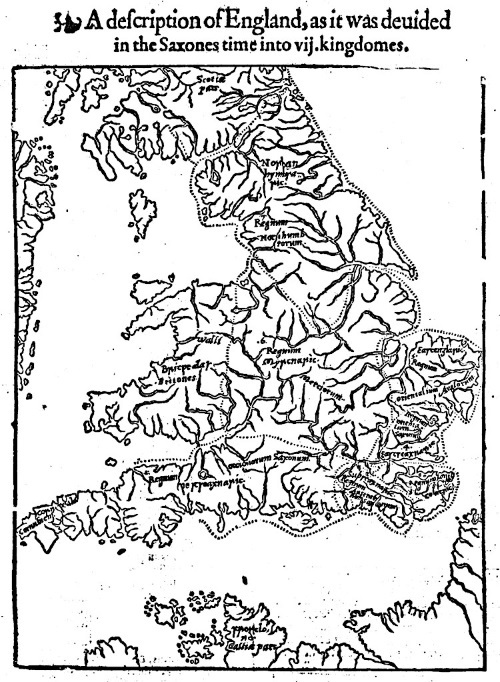 William Lambarde's 1568 woodcut map of the seven kingdoms of England in 'the Saxones time', as printed by John Foxe in 1576 (image via johnfoxe.org). A copper-alloy Byzantine follis of Heraclius, minted in Nicomedia in 611–12 and found near to Tamworth in the West Midlands; Sam Moorhead considers this coin to be potentially a genuine early medieval import, rather than a modern-era loss (image: PAS). 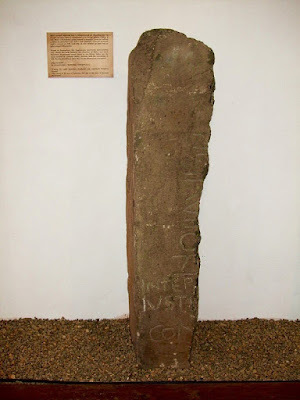 The Penmachno stone in North Wales, which includes a consular dating most probably referring to the successive consulships of the Emperor Justin II, 567–79 (image: Richard Hoare/Geograph, CC BY-SA 2.0). 1 N. E. Hermes, The [European] Other in Medieval Arabic Literature and Culture: Ninth–Twelfth Century AD (New York, 2012), pp. 72–80; A. Classen, 'East meets West in the Middle Ages and Early Modern Age: many untold stories about connections and contacts, understanding and misunderstanding', in A. Classen (ed. ), East Meets West in the Middle Ages and Early Modern Times: Transcultural Experiences in the Premodern World (Berlin/Boston, 2013), pp. 1–222 at p. 26. 2 D. N. Dunlop, 'The British Isles according to medieval Arabic authors', Islamic Quarterly, 4 (1957), 11–28 at p. 16. 3 D. N. Dumville, 'Essex, Middle Anglia and the expansion of Mercia, in S. Bassett (ed.) The Origins of Anglo-Saxon Kingdoms (London, 1989), pp. 123–40 at p. 126; S. Keynes, 'Heptarchy', in M. Lapidge et al (eds. ), Blackwell Encyclopedia of Anglo-Saxon England (Oxford, 2001), p. 233. 4 On the word Heptarchy and William Lambarde, see W. Goffart, 'The first venture in 'medieval geography': Lambarde's map of the Saxon Heptarchy (1568)', in J. Roberts et al (eds. ), Alfred the Wise: Studies in Honour of Janet Bately on the Occasion of Her Sixty-fifth Birthday (Cambridge, 1997), pp. 53–60; Oxford English Dictionary, s.v. Heptarchy. On Henry of Huntingdon and the seven kingdoms of England, see Keynes, 'Heptarchy', p. 233; J. Campbell, 'Some twelfth-century views of the Anglo-Saxon past', in J. Campbell, Essays in Anglo-Saxon History (London, 1986), pp. 209–28 at p. 213; Henry of Huntingdon, Historia Anglorum: the History of the English People, ed. & trans. D. Greenway (Oxford, 1996), pp. lx–lxi. 5 Campbell, 'Some twelfth-century views of the Anglo-Saxon past', p. 213; Henry of Huntingdon, Historia Anglorum, i.4, ed. & trans. Greenway, p. 17. 6 It is worth noting here that Harun ibn Yahya's statement that the unnamed capital city of Britain was ruled by the seven kings is most credibly seen as a confusion deriving from a source that mentioned both the political situation in pre-Viking Britain and this city. 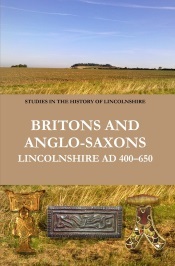 However, if it is indeed London—as Dunlop suggests ('British Isles according to medieval Arabic authors', p. 16) and seems plausible, given that Lundenwic (London) was actually the largest of the major wics or towns of pre-Viking England, with a core zone of c. 55–60 hectares—then it is interesting to note in this context that Middle Saxon London (Lundenwic) was actually sited in a marginal position to several pre-Viking kingdoms and was variously under the control of the kingdoms of Mercia, Kent, Wessex and Essex at different points between the mid-seventh and the mid-ninth centuries. On pre-Viking London/Lundenwic, see, for example, A. G. Vince, Saxon London: An Archaeological Investigation (London, 1990); L. Blackmore, 'The origins and growth of Lundenwic, a mart of many nations', in B. Hårdh & L. Larsson (eds), Central Places in the Migration and Merovingian Periods (Stockholm, 2002), pp. 273–301; and L. Blackmore, 'London in the Not-So-Dark Ages', lecture given at Gresham College, 13 October 2014, available online at http://www.gresham.ac.uk/lectures-and-events/london-in-the-not-so-dark-ages. 7 Dunlop, 'British Isles according to medieval Arabic authors', p. 16; D. G. König, Arabic-Islamic Views of the Latin West: Tracing the Emergence of Medieval Europe, (Oxford, 2015), pp. 109, 277. 8 E. S. Georganteli, 'Byzantine coins', in M. Biddle (ed. ), The Winchester Mint and Coins and Related Finds from the Excavations of 1961-71, Winchester Studies 8 (Oxford, 2012), pp. 669–78 at p. 673; J. O. Ward, 'Procopius's Bellum Gothicum II.6.28: the problem of contacts between Justinian and Britain', Byzantion, 38 (1968), 460–71; and I. N. Wood, 'Before and after the migration to Britain', in J. Hines (ed. ), The Anglo-Saxons From the Migration Period to the Eighth Century: an Ethnographic Perspective (Woodbridge, 1997), pp. 41–64 at p. 48. See also, for example, P. Sarris, Empires of Faith: The Fall of Rome to the Rise of Islam, 500-700 (Oxford, 2011), p. 200, and J. Campbell, 'The impact of the Sutton Hoo discovery on the study of Anglo-Saxon history', in J. Campbell, The Anglo-Saxon State (Hambledon, 2000), pp. 55–83 at p. 76. For more sceptical views, see A. Cameron, Procopius and the Sixth Century (London, 1985), pp. 217–18, and C. A. Snyder, An Age of Tyrants: Britain and the Britons, AD 400–600 (Stroud, 1998), pp. 34–5. 9 See, for example, Georganteli, 'Byzantine coins', pp. 672–6, 678. See also M. Fulford, 'Byzantium and Britain: a Mediterranean perspective on post-Roman Mediterranean imports in western Britain and Ireland', Medieval Archaeology, 33 (1989), 1–6; E. Campbell, Continental and Mediterranean Imports to Atlantic Britain and Ireland, AD 400–800, Council for British Archaeology Research Report 157 (York, 2007); E. Campbell & C. Bowles, 'Byzantine trade to the edge of the world: Mediterranean pottery imports to Atlantic Britain in the 6th century', in M. M. Mango (ed. ), Byzantine Trade, 4th-12th Centuries: The Archaeology of Local, Regional and International Exchange (Farnham, 2009), pp. 297–314; T. M. Charles-Edwards, Wales and the Britons, 350–1064 (Oxford, 2013), pp. 222–3; M. Duggan, 'Ceramic imports to Britain and the Atlantic Seaboard in the fifth century and beyond', Internet Archaeology, 41 (2016), online at http://intarch.ac.uk/journal/issue41/3/index.html; S. Moorhead, 'Early Byzantine copper coins found in Britain – a review in light of new finds recorded with the Portable Antiquities Scheme', in O. Tekin (ed. ), Ancient History, Numismatics and Epigraphy in the Mediterranean World (Istanbul, 2009), pp. 263–74; and C. Morrisson, 'Byzantine coins in early medieval Britain: a Byzantinist's assessment', in R. Naismith et al (ed. ), Early Medieval Monetary History: Studies in Memory of Mark Blackburn (London, 2014), pp. 207–42. 10 K. A. Hemer et al, 'Evidence of early medieval trade and migration between Wales and the Mediterranean Sea region', Journal of Archaeological Science, 40 (2013), 2352–59; C. R. Green, 'Some oxygen isotope evidence for long-distance migration to Britain from North Africa & southern Iberia, c. 1100 BC–AD 800', 24 October 2015, blog post, online at http://www.caitlingreen.org/2015/10/oxygen-isotope-evidence.html. Moorhead, 'Early Byzantine copper coins found in Britain', p. 265, notes that the majority of the seventh-century Byzantine coins from Britain that he surveyed were minted at Carthage and suggests that they are indicative of 'continued maritime activity with people from the Mediterranean in the 7th century'. 11 Leontius, Life of St John the Almsgiver, chapter 10; Snyder, Age of Tyrants: Britain and the Britons, AD 400–600, p. 152; C. J. Salter, 'Early tin extraction in the south-west of England: a resource for Mediterranean metalworkers of late antiquity', in M. M. Mango (ed. ), Byzantine Trade, 4th–12th Centuries: The Archaeology of Local, Regional and International Exchange (Farnham, 2009), pp. 315–22 at p. 320; M. M. Mango, 'Tracking Byzantine silver and copper metalware, 4th–12th centuries', in Mango (ed. ),&nbsp Byzantine Trade, 4th–12th Centuries, pp. 221–36 at p. 223. For the Doctrina Iacobi nuper baptizati, III.9, reference I am indebted to Sihong Lin; see O. Heilo, Seeing Eye to Eye: Islamic Universalism in the Roman and Byzantine Worlds, 7th to 10th Centuries (Wein University PhD dissertation, 2010), pp. 28–9, and D. Thomas & B. Roggema, Christian-Muslim Relations: A Bibliographical History, volume 1 (600-900) (Leiden, 2009), pp. 117–9. 12 T. M. Charles-Edwards, Wales and the Britons, 350–1064 (Oxford, 2013), pp. 234–8, quotations at p. 235 and 238; the other identification mentioned is that of V. E. Nash-Williams, The Early Christian Monuments of Wales (Cardiff, 1950), pp. 14, 93. It may be additionally worth noting here that another, less certain although still intriguing, source of evidence is the recent suggestion that some of the apparently obscure 'local' saints of western Britain are not actually otherwise unknown 'Celtic' saints, as they were portrayed to be in much later medieval hagiographies, but rather Byzantine cults transplanted to Britain in the early medieval period whose origins were subsequently forgotten. With regard to this, perhaps the most convincing instance is provided by St Ia of St Ives, Cornwall. Although she is claimed by very much later sources to be an otherwise unknown Irish saint, she actually bears a name identical to that of a martyred Greek saint, St Ia of Persia, whose important church in Constantinople—located next to the Golden Gate—was restored by the emperor Justinian in the sixth century: see further K. Dark, Britain and the End of the Roman Empire (Stroud, 2000), p. 163. 13 V. V. Minorsky (ed. & trans. 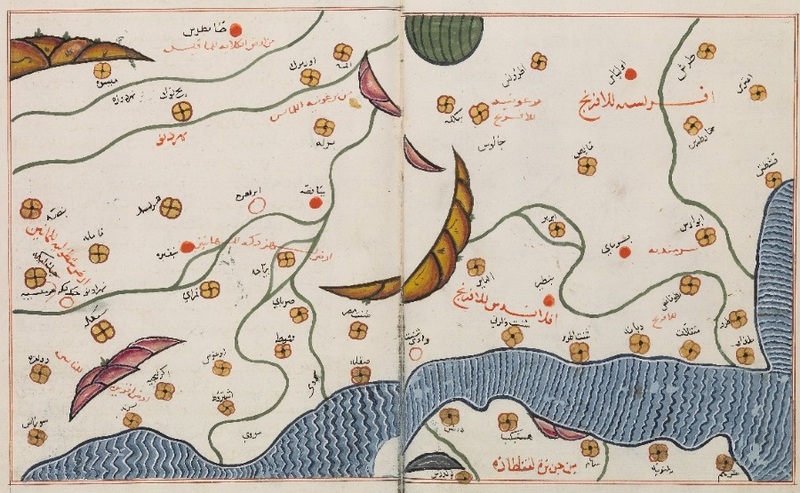 ), Ḥudūd al-'Ālam, 'The Regions of the World' – A Persian Geography 372 A.H. – 982 A.D., ed. C. E. Bosworth with a preface by V. V. Barthold (London, 1970), pp. 59 and 158. 14 V. V. Barthold in Ḥudūd al-'Ālam, 'The Regions of the World', p. 8. 15 Georganteli, 'Byzantine coins', pp. 676–9; J. Shepard, 'From the Bosporus to the British Isles: the way from the Greeks to the Varangians', Drevnejshie Gosudarstva Vostochnoi Evropy, 2009 (Moscow, 2010), pp. 15–42 at pp. 22–38. 16 On a 'Late Saxon' Spanish connection, see P. Nightingale, 'The London Pepperers' Guild and some twelfth-century English trading links with Spain', Bulletin of the Institute of Historical Research, 58 (1985), 123–32 at p. 128. On the possibility of a degree of trading activity between the Islamic world and the British Isles in the eighth and ninth centuries, see C. R. Green, 'Some imitation Islamic coins minted in early medieval Europe', 1 March 2015, blog post, online at http://www.caitlingreen.org/2015/03/some-imitation-islamic-coins.html; L. Webster & J. Backhouse, The Making of England: Anglo-Saxon Art and Culture, AD 600–900 (London, 1991), p. 190; A. O'Sullivan et al, Early Medieval Ireland: Archaeological Excavations 1930-2009 (Dublin, 2010), pp. 179–80; T. O'Hagan, 'In the name of Allah? Broaching Carolingian connections at Ballycottin, Co. Cork', 9 April 2013, blog post, online at https://voxhiberionacum.wordpress.com/2013/04/09/cork-carolingian-connections/. The following post offers a map and brief discussion of the Islamic gold coins of the later eleventh and twelfth centuries that have been found in England and their context. Whilst clearly rare finds, there are now ten coins of this period known, all but one of which are thought to most probably have their origins in Spain. Moreover, these coins are considered to be the survivals of a potentially substantial body of this material present in England at that time. 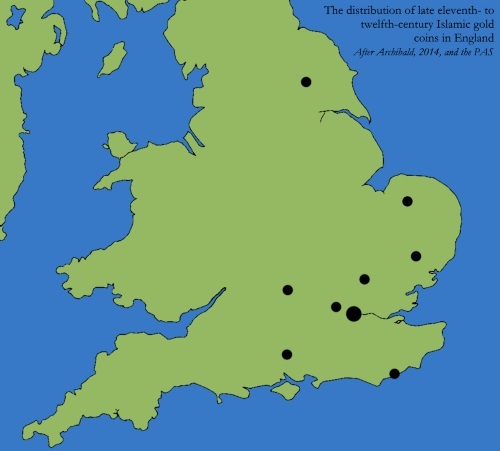 Distribution of late eleventh- to twelfth-century Islamic gold coins in England (image: C. R. Green). The ten later eleventh- and twelfth-century gold dinars found in England up to December 2015 can be catalogued as follows: 1 Fatamid quarter dinar or tari from Sicily, minted c. 1050–72, found St Leonards-on-Sea, Sussex; 4 Almoravid dinars from Spain, minted in 1087–1106/1106–07/1130–1 (x2), found in York, Oxford and London (x2); 1 counterfeit Almoravid dinar from Spain, mounted as brooch, dated 1106–42 and found near Winchester; 1 Murcian dinar from Spain, minted ?1169–70, found Standon, Hertfordshire; 2 Almohad dinars of Spain/North Africa, both minted 1168–84, found Wattisham, Suffolk, and Sporle with Palgrave, Norfolk; and, finally, 1 gold mancus from Barcelona, imitating an eleventh-century Hammudid dinar of North Africa, struck for the Christian king Raymond Berengar I in 1069–75, found Denham, Buckinghamshire. Although gold dinar finds of this period have often been associated with English documentary references to oboli de musc and the like, which are generally agreed to represent gold Islamic coins, the first of these references is found in the Pipe Roll for 1189–90—when obol' de Muscze are recorded as being purchased for Richard I—and the majority come in the mid-thirteenth century, when numerous purchases of these coins were made for Henry III, mainly for royal alms and to further the king's personal interests. The problem, as Marion Archibald has pointed out, is, of course, that every one of the gold dinars found in Britain and under discussion here was issued before even the first of these documentary references, with the 70% being issued in the later eleventh century or first half of the twelfth. The solution to this apparent conflict of evidence is difficult, but Mark Blackburn has noted that even where there is evidence for a significant circulation of gold coinage, finds of these coins tend to be very rare indeed or even completely absent, presumably due to the value of the individual pieces, leading to a general suggestion that 'when there is even a modest distribution of high-value coinage, as with the Arabic coins in Western Europe, this may represent a substantial volume of such coinage in circulation.' 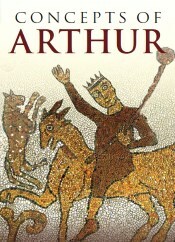 In this light, Archibald has suggested that Islamic gold dinars were thus not only present in England throughout the whole medieval period from the later eleventh century onward, but were actually very probably here in significantly larger numbers earlier than they were later, given the chronological distribution of the finds we have, despite what the documentary evidence might imply. Consequently, the most credible explanation is probably simply that the official documentary references to Islamic gold coins in England represent a skewed version of reality that favours the late twelfth and thirteenth centuries due to the absence of appropriate financial records for earlier periods that might record the presence of such coins, rather than anything else. An Almohad half dinar of Abu Ya'qub Yusuf I , minted between 1168 and 1184; found Wattisham, Suffolk (image: PAS). Needless to say, the degree to which this apparent presence of a large quantity of Islamic gold coinage in England between the later eleventh and mid–late twelfth century reflects direct contact between England and Spain—where 90% of the coins likely have their origins—is a point of some interest. The possibility that these coins could result from Anglo-Norman trade with Spain and/or the Mediterranean has certainly been raised in the past, and there now appears to be solid evidence for English merchants engaging in a significant degree of commerce with Spain in the eleventh and twelfth centuries, particularly from the Deorman family and the subsequent pepperers' guild of London, but also from the merchants dealing in leather goods from Córdoba who were apparently based around Cordwainer Street, London, by 1120. It is similarly suggestive that the great Muslim scholar Muhammad al-Idrisi, who was educated at Córdoba, named the modern Bay of Biscay as the 'Sea of the English' (bahr al-Inqlishin) in his Nuzhat al-mushtaq, completed c. 1154, and that he is now also often thought to have probably visited England himself during the first half of the twelfth century. Places in southern England mapped by al-Idrisi for his Nuzhat al-mushtaq of c. 1154; for the original map, see the previous post on al-Idrisi's account on Britain. Al-Idrisi appears to show particular knowledge of two areas of Britain, namely the east coast from East Anglia to York (as discussed in the previous post) and the south coast from Dorset to Kent. 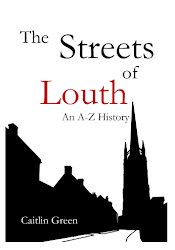 Of these two areas, the fullest descriptions and praise are reserved for the south coast towns: for example, Shoreham is described as a 'fine and cultivated city containing buildings and flourishing activity', and Hastings as 'handsome, having markets, workpeople and rich merchants'. Interestingly, London is merely named and not described at all by al-Idrisi, despite its documented importance (image: C. R. Green).